Remove the plastic hole covers. 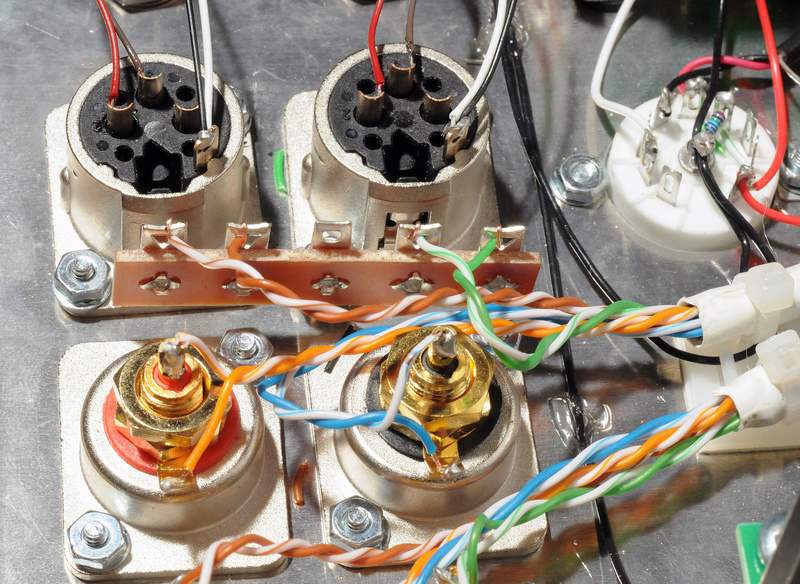 Trim the wires off the RCA Jacks closest to the transformer holes. Mount the XLR jacks with the existing hardware and add a 5-lug terminal strip to the back hole of the front XLR jack. The terminals are numbered from front-to-back. 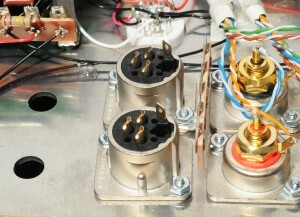 Mount the transformers using the hardware supplied with the transformer — insert the post from the top side of the chassis and secure below with the lockwasher and nut. 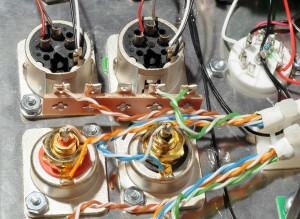 Do not fully tighten the transformers. 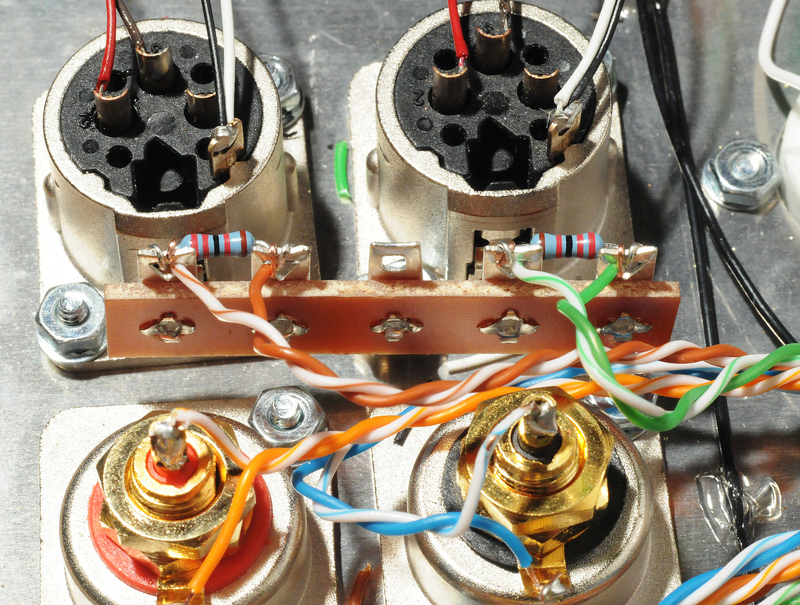 Attach and solder the red wires to pin 2 of the closest XLR jack. Attach and solder the brown wires to pin 3 of the closest XLR jack. 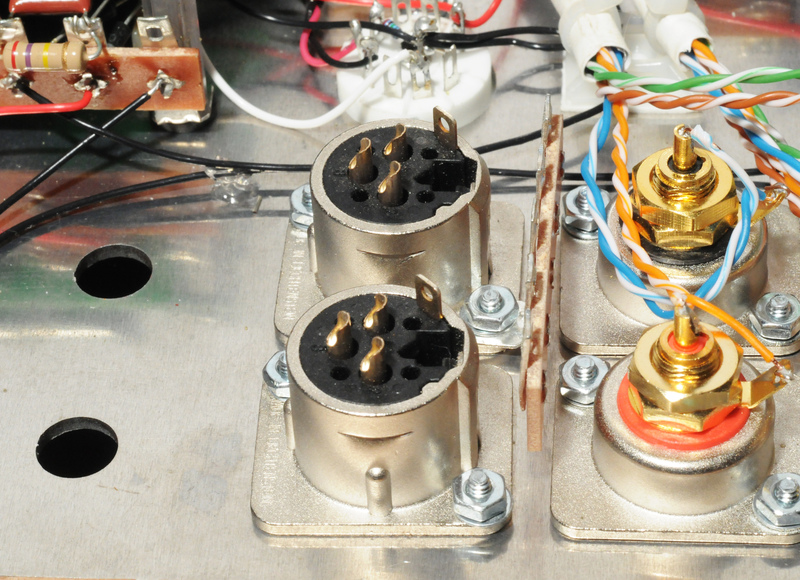 Attach and solder the black and white wires to the ground tab of the closest XLR jack. 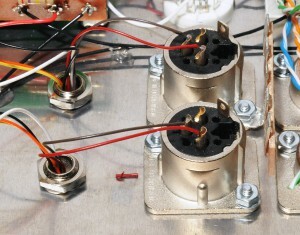 Attach a 22KΩ 1/4W resistor between 1U and 2U. 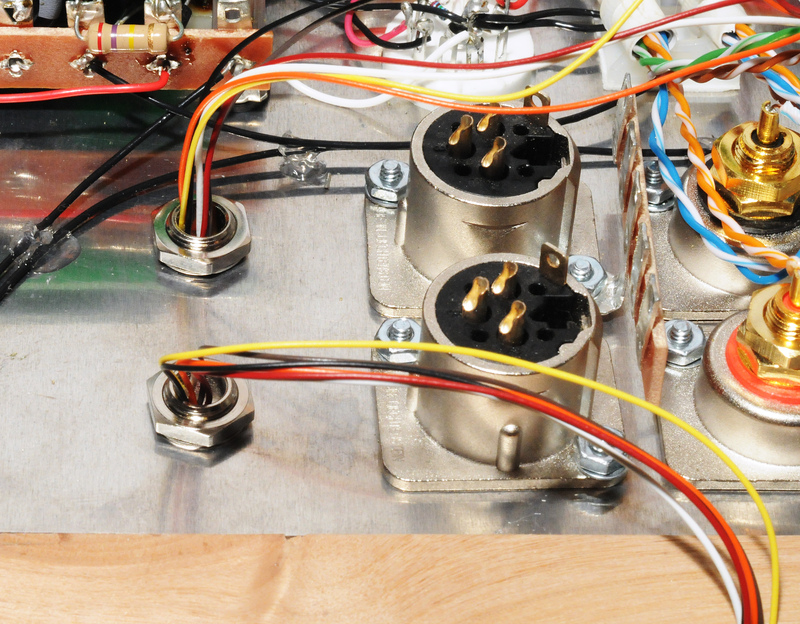 Do not solder. 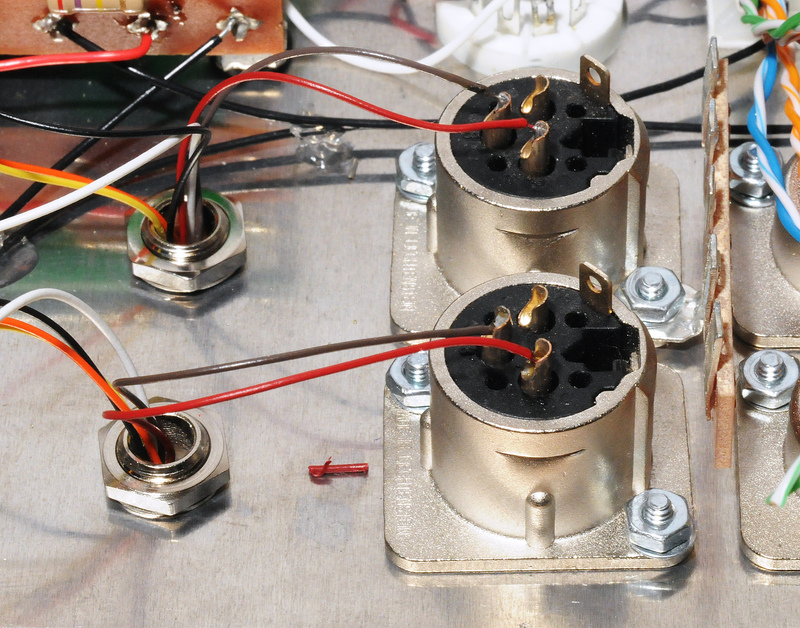 Attach a 22KΩ 1/4W resistor between 4U and 5U. Do not solder. 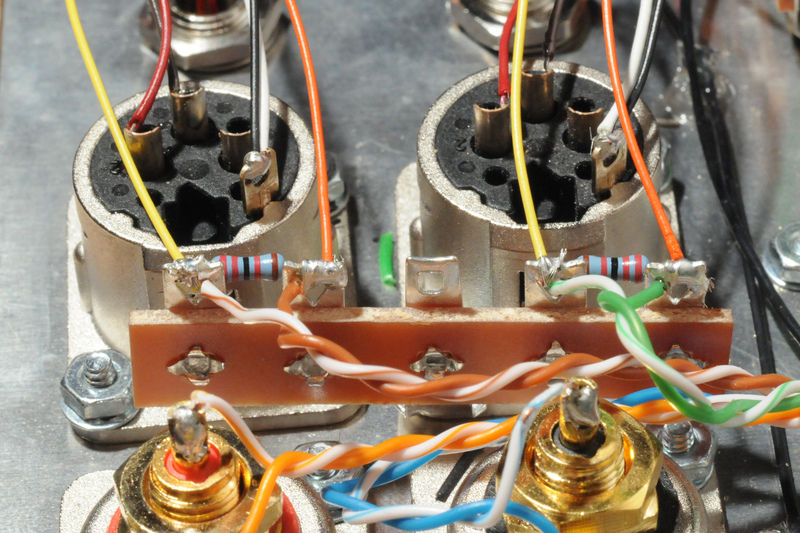 Attach and solder the orange wires to 1U and 4U. 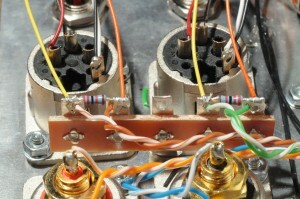 Attach and solder the yellow wires to 2U and 5U. Return the BeePre to your system and power the system on. Switch the selector to the position for the balanced input and listen for hum. 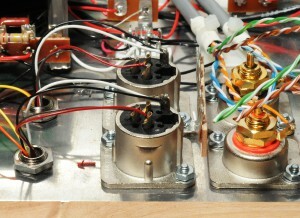 Rotate the transformers to minimize hum.